A PDF copy of pages 186-187 of the book Christchurch: The Transitional City Pt IV. 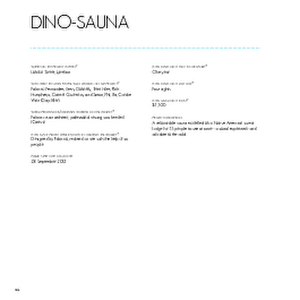 The pages document the transitional project 'Dino-Sauna'. 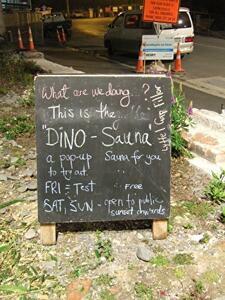 A photograph of a sign giving information about the Gap Filler Dino-Sauna project. 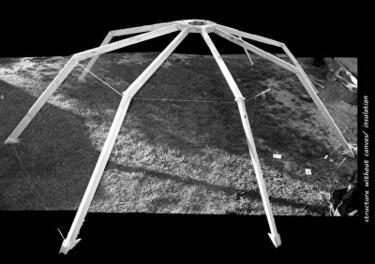 A black and white photograph of the wooden structure supporting the Gap Filler Dino-Sauna.